It was another gorgeous day in Haida Gwaii as my guests and I drove out on flat calm waters to one of the spots that has been fishing really well known as “the Nursery”. As soon as we dropped in we noticed multiple boats around us had fish on. It didn’t take long before one of our rods doubled over… Fish On! 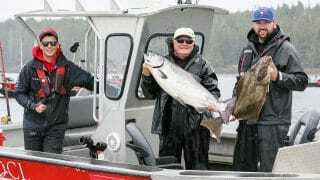 We kept busy for over an hour with a mix of Chinook and Coho pushing needlefish in just 50 feet of water. After playing lots of smaller Chinooks we finally hooked into a better one. Seeing it jump a few times right away, I knew this was a good fish and after a 10 minute fight it was in the boat. 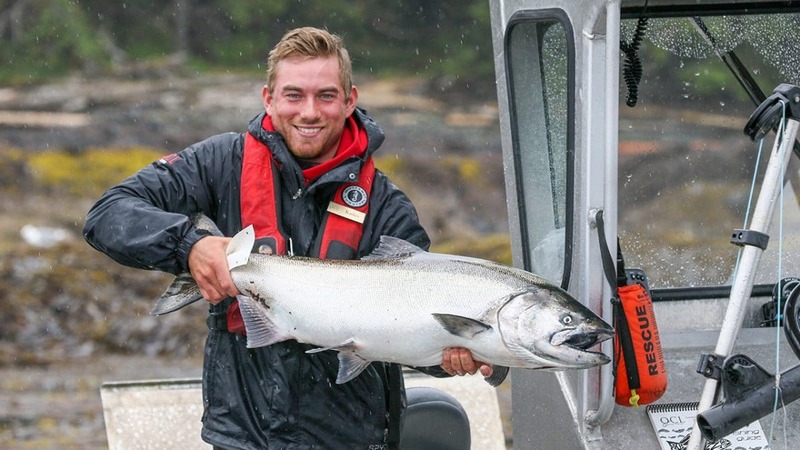 There was no doubt it was a heavy fish but wasn’t sure it was quite a Tyee. But when we returned to the dock my and got it on the scale, first-time guests were ecstatic when it went 30.0 lbs, a real Bell Ringer! 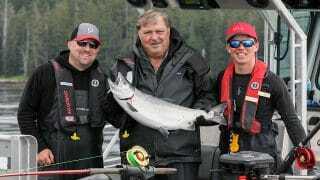 With lots of what we call “cookie cutter” Chinook and the odd bigger fish around it makes for a fun day. The offshore Coho fishing has been producing really well, with guides often trolling in from halibut fishing and getting limits of coho, with the odd spring mixed in too. It’s shaping up to be another awesome week!